Optical Ocean Sales, LLC has expanded its store/offices! The newly expanded space includes a third larger store, office and studio. 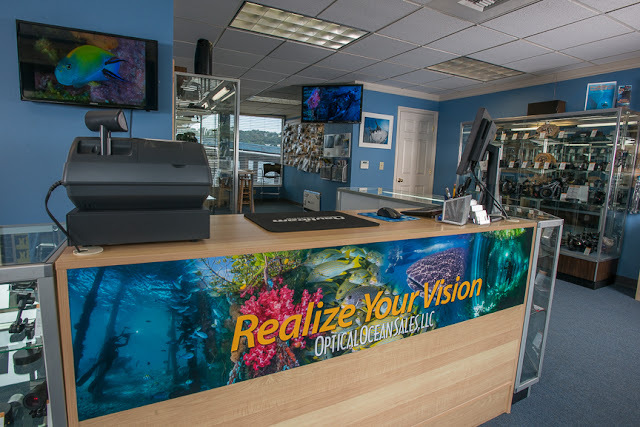 The store features a large selection of underwater photo equipment in stock; cameras, video and still housings, strobes, focus/video lights, arms and trays, hard and soft cases along with many parts and accessories. They have many unique system and lighting packages available that are ready-to-go. Optical Ocean Sales are dealers for Nauticam, Fix, Zen, Keldan, SEACAM, Olympus, Sea & Sea, Inon, Gates, Aquatica, Fantasea, Light & Motion, Ikelite, SmallHD, 10Bar, Nanuk Cases, Seahorse, Big Blue, iTorch/iDAS, Xit404 and many other lines. 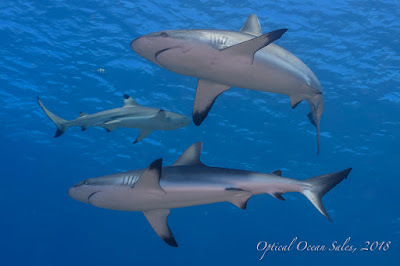 Optical Ocean Sales is committed to its customers realizing the vision of the images they wish to create. They maintain an extensive free Educational Resource Center online with many Handbooks, Reviews, Blog, Trip Reports, product comparison charts and more. Staff is always available for questions and advice based on direct experience. They also lead Photo Expeditions to many exotic locations all over the world. The expanded store is located at their present location on Lake Union at 1800 Westlake Ave. North, Suite 201, Seattle, WA 98109. Hours are 10-6 M-F and 12-4 on Sat. Phone +1 206-284-1142 or 800-359-1295, email or visit their webstore.